Life is crazy sometimes…. especially my life, or so people tell me… there is so much chaos that surrounds me and my family so much of the time that I sometimes feel like I can’t breathe. I turned 43 a couple days ago. People ask me, “Do you feel older?”…. I do not feel older. I feel like an 18 year old trapped in this body that is just beginning to feel the tell-tale aches and pains that come with aging. But other than those aches… I feel great. I do however feel as unstable as an 18 year old. BIG, HUGE, MONUMENTAL changes in the Doppenberg household…..
We are slowly over the next 2 months phasing ourselves out of our roofing business…. the business that has treated us well over the past 15 years… the business that puts food on our table… the business that pays our mortgage… the business that supports us and our part of our youth/young adult & Guatemala ministry…. There are many reasons why Geoff & I have decided to make this decision…. the greatest reason is that we just have this overwhelming feeling that it is time. Time for us to do more… time for us to help more…. time for us to serve more…. time for us to make a drastic change in our lives and having the company just takes too much time away from what we feel we are called to do…. We will make money to support our ministries but so much time will be free to spend on the things that are most important to us. I am scared… out of my mind to be honest…. There is so much uncertainty. I do not know what the future holds for us, but I am excited. I know that there is a plan for our lives and the more we surrender and follow that plan the more things seem to fall into place. Since making this decision so many things have happened that show us we are making the right decision. I am not sure where life will take us now with it’s twists and turns but I am willing to hang on and enjoy the ride! 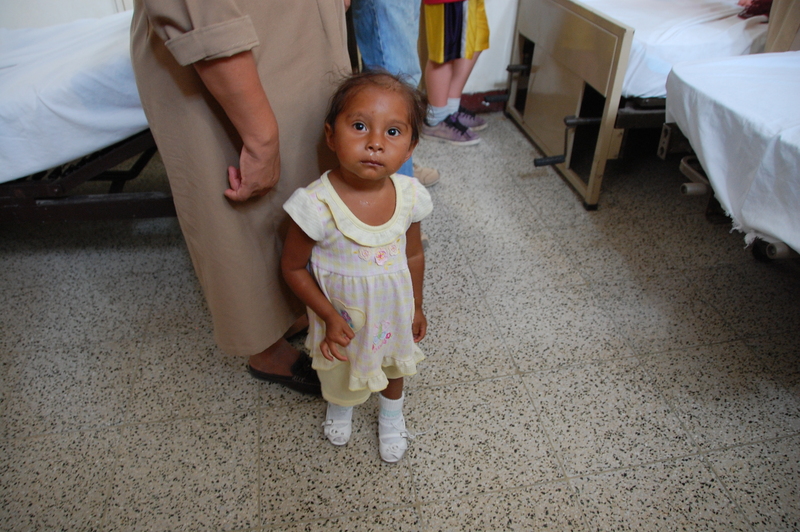 We have been invited to a special party in Guatemala… a party of all the rehabilitated children and their parents from the Nutrition Hospital. A party that will show us what the result is when people care enough to send money, pray, serve and take an interest in a little hospital which is a tiny speck of need in the big picture of this planet. Hermana Mercedes writes often and tells how much they are looking forward to us coming, spending time with them, especially Christmas. I cannot describe how much we are looking forward to this and how much of a privilege we consider it to be able to serve these amazing Hermana’s and the sick children. This is what it’s all about isn’t it? For us there are no more dreams of big homes and fancy cars. That part of our lives is behind us…. for us there are new dreams of equality…. No more can we eat a meal and feel nothing when throwing left overs away… We are mindful of every mouthful. Every penny we spend has a purpose now. Gone are the days of ignoring what we have seen…. we cannot ignore anymore. We just finished our fall newsletter… it is ready to be mailed in the next week or so. Inside is a budget. A budget to run a better hospital in Guatemala. One that uses the facility to its greatest potential. One that strives to encourage people to consider giving…. If everyone lived on one less Starbucks a day that would enable a hospital that rehabilitates 200 malnourished kids a year to be well on the way to rehabilitating 1000. In the pre-release of our newsletter, those that saw it grew quiet and their eyes grew wide when they saw our goal of raising just over $100,000.00 for the year 2011/2012. Is that really a lot of money to completely run & renovate a hospital? Money that would enable them to serve hundreds more children. How many desperately ill children would $100,000.00 help in a Canadian or US hospital? Not even one most likely…. Sad reality… but true. This little girl is now rehabilitated! 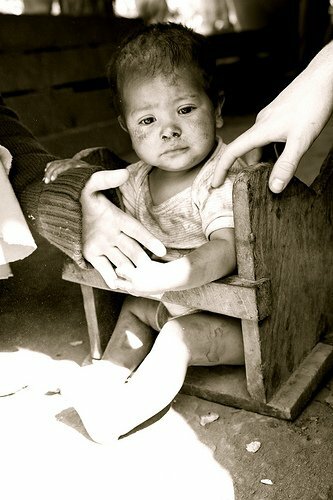 Posted on September 13, 2011, in Guatemala Missionary, Uncategorized and tagged celebrate life, Guatemala, Malnutrition, mission, Missionary, Volunteers, World Impact, Youth. Bookmark the permalink. 2 Comments. Great blog which accurately describes how God has put this place and people on your heart. 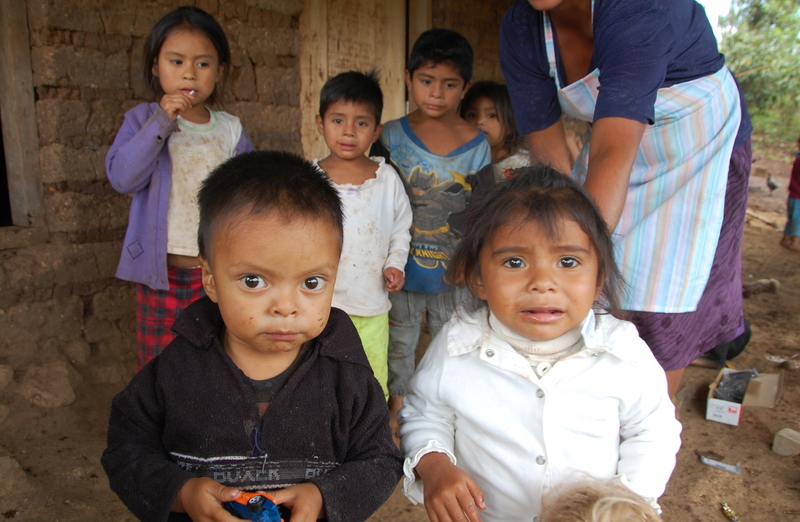 In response, I pledge $1000.00 to the children’s hospital/malnutrition center in Guatemala. It is far better spent on saving lives and rehabilitating children than on a new TV, some new furniture, new fall clothes, or expensive outings. God Bless you and your endeavors in fulfulling His kingdom. May people in Guatemala thank God for this help and turn their hearts to Him as a result.